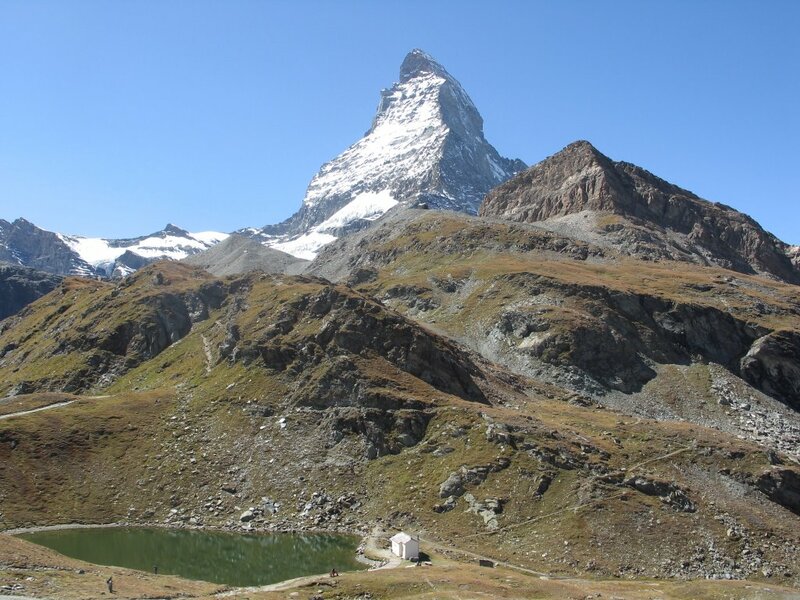 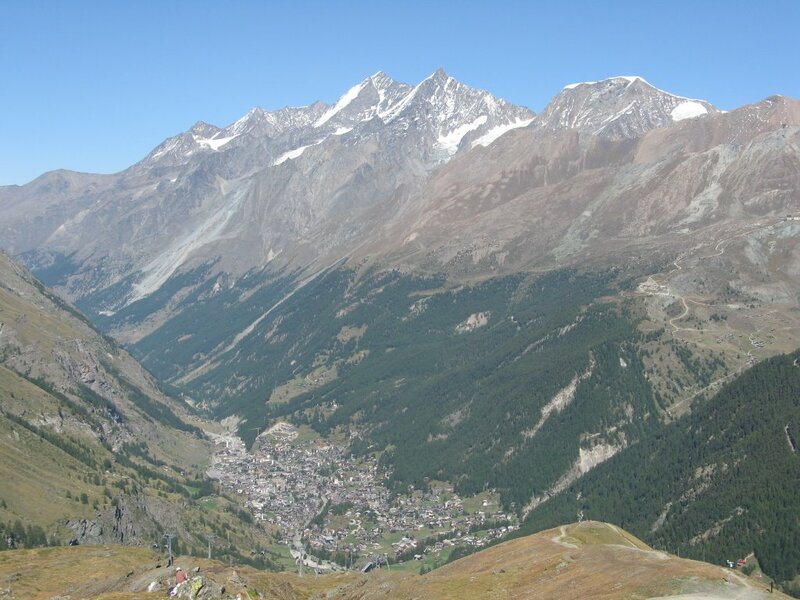 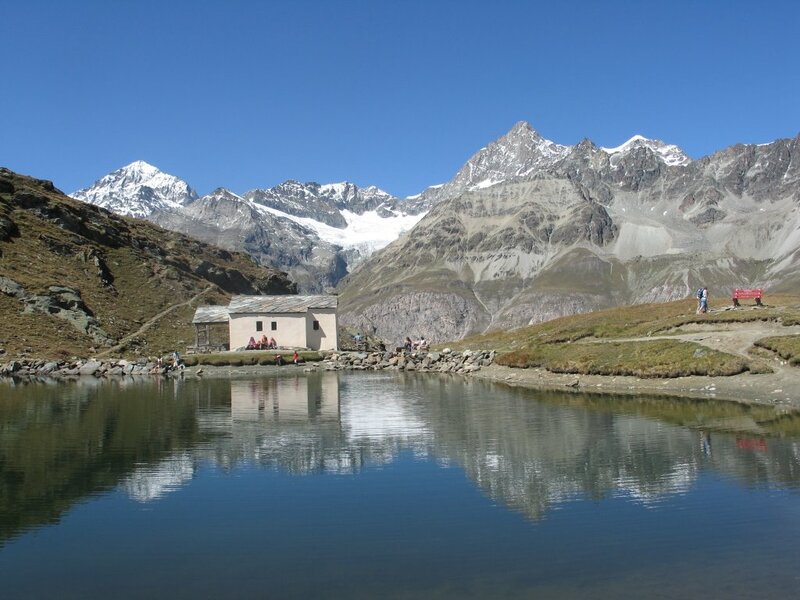 Matterhorn is the most distinctive peak in the world, thanks to its dramatic pyramidal shape. 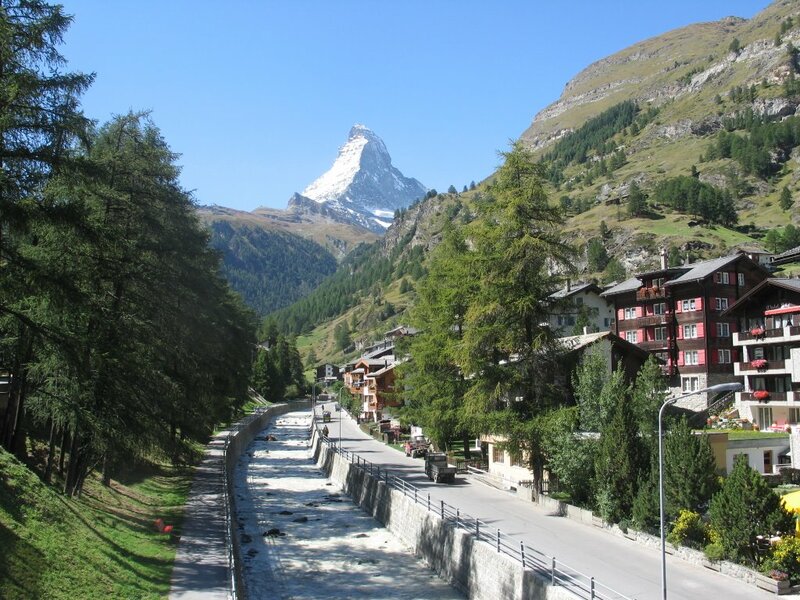 On the border between Switzerland and Italy, its graceful pyramid (4,478 meters high) towers over the Swiss town of Zermatt. The most beautiful peak i've ever seen! Everybody should visit or climb the Matterhorn!